So much to see!! Be prepared to spend a day just touring this fabulous property located on close to 14 private acres. 2700 sf home is immaculate and in move in condition. Hardwood flooring in main rooms & new carpet in master. The chefs dream kitchen has lots of countertops and a professional DCS6 stove/oven. The separate guest quarter is complete with full kitchen, living area, large bedroom and bath. Plenty of storage and office space in 1800 square foot unfinished basement. The large pasture as well as the chicken coop are surrounded by electric fencing. Cleared pathways for easy walking around the property. New 2 car detached oversized garage. 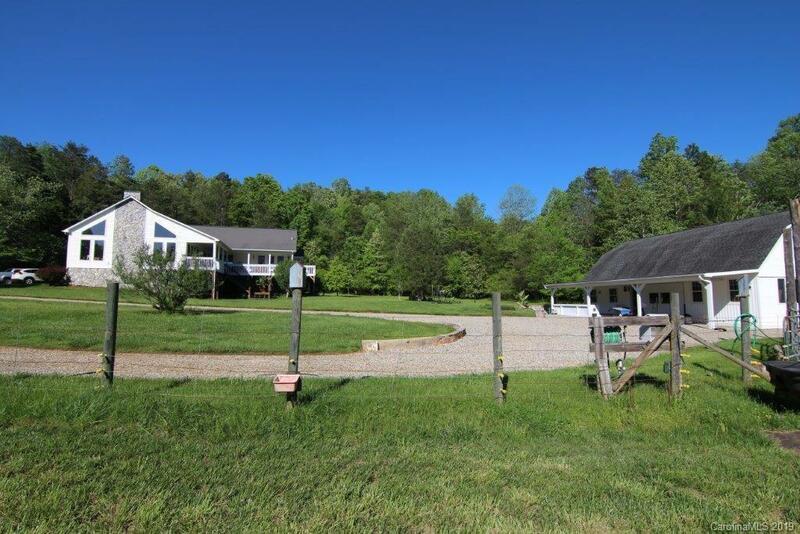 This is the perfect property for anyone wanting privacy but close proximity to Charlotte. No HOA's. New septic system just installed. See list of improvements.